Openhand's Living the Shift work is all about getting people into the flow of the soul. It's a totally magical place to be - what we might call "The Zone". It's where you've released yourself from the confines of identity, the limitation of ego, as much as possible. You've let go of the need for a particular outcome, and unfolded into a sense of relaxed openness. It's not zoned out though - it's extremely attentive and aware. We've expanded more into the everythingness of infinite potential, where literally anything can happen. what's flowing in from higher dimensional consciousness. Actually this is not just a 'spiritual' practice. It's been shown that successful atheletes, artists, entrepreneurs and performers often work from this state. It's been proven that brain busyness actually decreases in this state, which enables much greater flexibility and responsiveness in the moment. Openhand has taken this principle and expanded it out into multiple dimenisons. We're not just living in the 3D! You could do that, as society currently is doing, but to live disconnected from the entirety is dangerous and highly limiting. It creates a temporary disconected dam in the flow, against which pressure builds, until it inevitably bursts. That's the point at which society has reached right now - the flow is building and will ultimately burst through. The Old Paradigm, and the old way of doing things, is redundant and breaking down. More and more people are waking up and realising it doesn't serve them anymore to live that way. The flow state creates an entirely new way of being where relationships, jobs and general living circumstances shape around your authentic beingness. People are realising that unleashed soul bends the space-time-continuum around them, creating a more aligned and fulfiling life, supported and cherished by the Universe through signs and synchronicity. So Living the Shift, applying the Openway Spiritual Compass, is all about recoonnecting people with the sense of expansive openness through which the rightness of the soul flows. In this "zone", the soul is descending down through multiple dimensions, so when you take action in the lower bodymind, you do so in alignment with this movement. Consequently you witness affirming synchronicity clicking in all around you and it's tremedously comforting and rewarding. Even when things don't work out in a 3D sense, it matters less because you see the purpose, the teaching and the deeper opportunity. Either it's to learn, grow and evolve more by working through the contraction, or it's to confront and unravel the Old Paradigm. There's nothing quite like being in the "zone" in the state of openness. You recognise your interconnectivity with the whole; that you're an integral part of the bigger meaning and purpose. 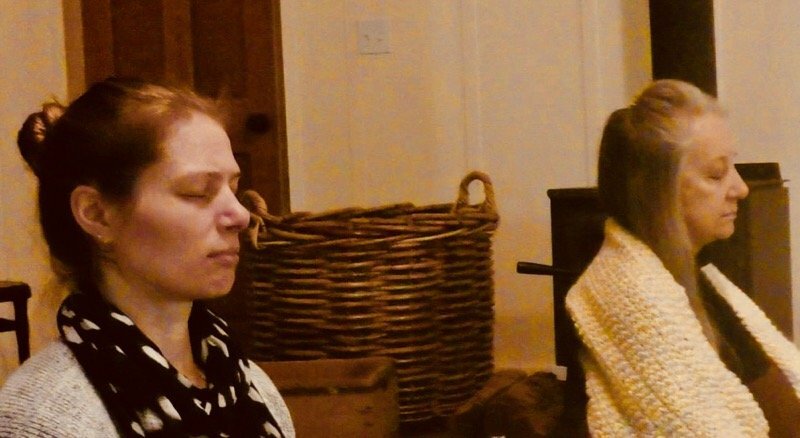 In the coming days, as I lead the Retreat in Seattle, I'll be sharing insights into what it means to be in the flow of the soul - in the "zone" and how you can get there, just what it feels like and what you then witness. Come join us. What does it actually feel like within when you're in this flow? 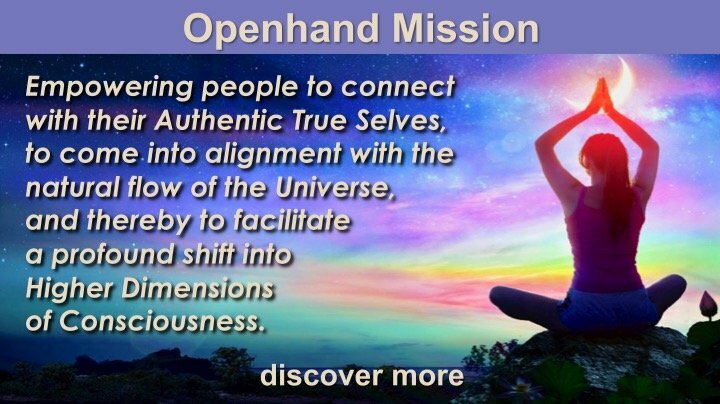 If anyone was to ask me what Openhand is really about, I'd say: "It's connecting people with their True Self, so as to come into the natural flow of the Universe, which connects them with higher dimensional consciousness". For me personally, there is nothing to compare, it's a constant daily practice, 24/7. The flow speaks through your soul. When you're in it, you can feel it when typing on a key board, doing the washing up, brushing your teeth, mowing the lawn - even in these apparently small 'mundane' actions. There's a rightness in everything, because everything has come into being from Unity Consciousness - the light flows through all. When we pick up the sensation of rightness, where you know everything is clicking in around you with deeper purpose, then destiny is being fulfilled. Reason, meaning and purpose all converge. 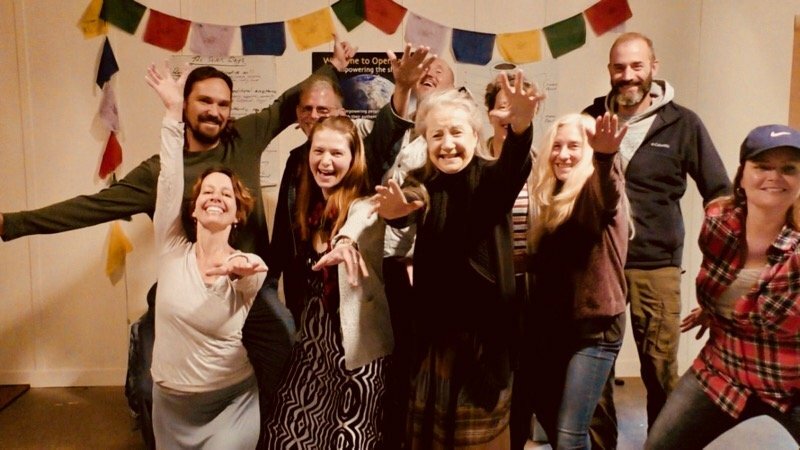 So, I felt to encourage an inquiry with you all whilst running this Living the Shift retreat in Seattle. Let's kick off - what does it actually feel like within when you're in this flow state? I have recently started living alone sperated from family after a long time. Lots of obligation, guilt, expectation has suddenly disappeared, it simply feels right and relaxed. I have another family living close to me, so I get enjoy the human connection and togetherness. While cleaning the house I found a dumped mixer which I thought was damaged. But when I switched it on, it was perfectly working and guess what it was the one thing that was missing and what I really needed! It felt like universal support when I followed the rightness. I also feel a lot of space inside for authentic actions to arise. Another thing I have started enjoying is playing badminton every evening. A lot of the previous urge to win, succeed, perform etc seems to be absent yet I can see the distortions within it. Yesterday I observed that trying, needing to belong to the teammate while playing directly negatively influenced my unique experience. And as i consciously cut off this energetic tie, game on the outside improved significantly and I stated to enjoy more too. It was a wonderful reflection. That sounds tremendous Vimal - good for you. I always did get the sense that being too consumed within an old consciousness was thwarting the full emergence of you. It sounds like you're now creating a landscape where you can thrive much more. I think allowing this new landscape to create is critical. It's easy to confuse surrender and acceptance with acceptance of 'anything goes'. Rather than letting the boldness and adventure of the masculine ray 1 come through too. That way you create positive feedback loops with the Universe and create a life that's uplifting, rewarding and fulfilling. I'd like to expand on the crucial difference between surrender and acceptance of anything goes. They are not the same! I witness there's often the trap on the spiritual path to let go, which initially feels great, but then not making a positive commitment in the direction of the soul's calling. When you let go to the pull of the soul, it will take you to confront all your comfort zones, all your fears about taking a particular path and choices. Because the soul is wanting you to be a liberated and unbridled expression of The One. So first there's a letting go into the mainstream of soul. But then there's following the emergence of soul and confronting the density that gets in the way - where tightness closes you down. That's not the end of the story though. We must now allow the soul to come fully through and express, in all the things we do, as a sense of rightness in the moment. Then to watch for the positive feedback loops. If all you get is negativity from those around you, if they don't expand you and amplify your new sense of beingness, then you'll need to look at where you're focussing your attention and bulk of your time. Ideally you're looking for positive feedback loops that amplify and nurture the expression of your soul. Who are the people that resonate on your vibe and help animate that? What are the environments that actively encourage you and propell you forwards? Put attention on these - give time to then. Then the new landscape will grow and encourage new development of self. It leads to a life of fulfillment and joy. Yes Open, your positive feedback is much appreciated. During recent times it became very obvious to me how my immediate environment is negatively influencing the emergence of the soul. I beleive its about engaging in those activities like mediation, or being with nature and building up the feeling - the rightness and expansiveness of the soul and we will reach the point where its much difficult to ignore the negative influence and what's the soul is calling forth in us. I think it's also important to say that the decision and the way to separate didn't come from the mind but there was a questioning that what I could do about the situation. But the choice was already there. Maybe this questioning opened up the opportunity and I followed that choice. If I had tried taking decision to change my situation in the level of the mind, then that would have been too difficult and controlling for where I'm at the journey. Not saying its how its supposed to be. So acceptance was crucial. Another thing I'm exploring is the thrill and the sense of adventure in the uncertainty and not knowing. If I had full security and certainty of how I am gonna make it on my own, then that woudnt be nearly as interesting as the situation that I'm already in, although uncomfortable. With this realization I felt to take off the Ad that I had placed on my front gate for the maths class that I though I could give. All the while it was there I kept wishing that if none called! Strange but it was my defence. A defence everybody around fully appreciates. I enjoy connecting with children and imparting knowledge but it's not something I want to do. Now the road is once more clear. When we start to live alone it becomes obvious how little we need and how good it feels to lead a minimalistic life free from all the clutter . There is more space and time to do what we really enjoy in life. In your replies to this thread, I can almost feel the emergence of something amazing and new . It is astonishingly obvious to me that you are emerging out into a new landscape. There is so much more lightness in your sharing . 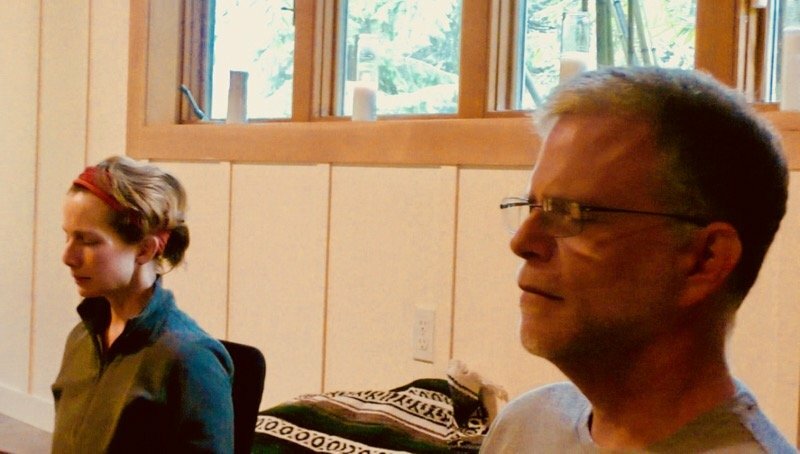 What Does it Mean to Be in The "Flow State"
Here in Seattle, we start the formal work later this morning, where I'll be talking about the flow state and helping people get into it through breath, the deeo inner inquiry and movement to inspirational music. So what does it mean to be in the "Flow State"? 1) Letting go of the need of an outcome: you move into a place of complete acceptance of the moment. You may be engaged in things, but the key is to let go of any fixation around "this must be done" or "it must look like this or like that". What this does, is open your consciousness up and expands you out more so that you can feel subtle nuances and senses coming through. 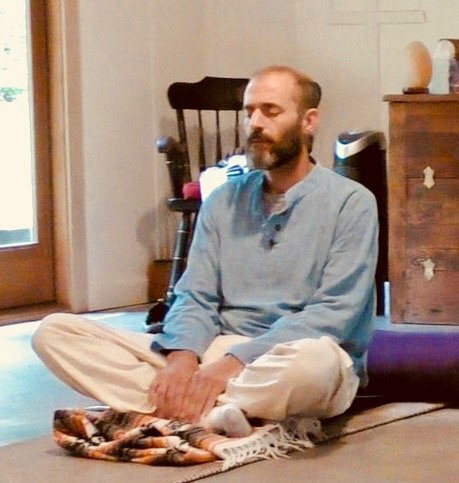 2) Incorporation of Breath and Movement: at Openhand we apply the Breakthrough Breathing to get more into an open flow state, and also movement, allowing the body to move freely, often to music. So you're feeling relaxed and at ease. It's as if you become more of a flow in the things that you do. 3) Alert Attentiveness: even though you're relaxed and flowing, there's an alert attentiveness to what's going on. In fact exactly because you're not efforting for a particular goal or objective, then you can be more aware of everything going on around you. 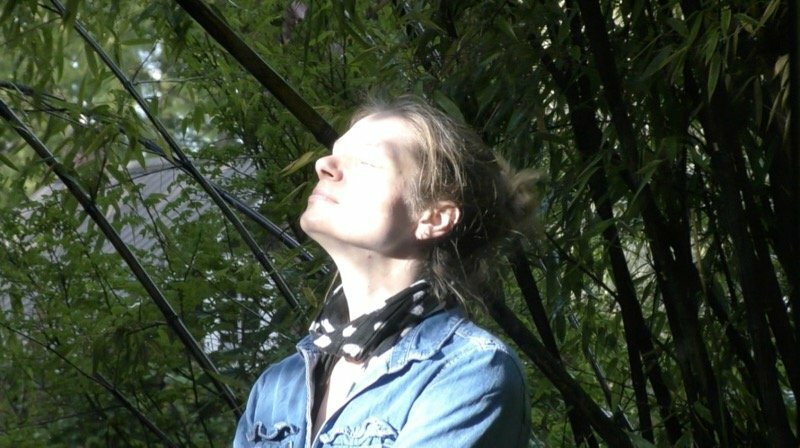 4) Being in The Moment: when you're accepting your interconnectivity with the Universe, you move more into a place of trust. It means you become more engaged in the moment, attentive to what's going on around you and right under your nose. You come into the infinite potential of the Universe. Time seems to slow right down in the moment, yet hours can flash by in what seems like a short space of time. 5) Focus on Beingness: focus shifts more from what you have to do, and into how to "be" in this moment. The soul starts to animate through you and come through in different expressions, resonances and harmonies. You find yourself being more expressive and alive. It feels magical simply to express, and the moment becomes more about this. There's a curiosity and excitement about how much more there is of you that you can express and be. 6) The State of "No-mind": the mind becomes still and quiet. You can express through the mind, but you're not identified with it. It's more that you're acting through it. It's like the mind becomes transparent, like the sky, where thoughts float cross it like clouds. 7) The Five Senses Heighten: when you're being present and engaged fully in the moment, and where the mind is quiet, then you start to feel more through the five senses. It's like the full spectrum of colour and senibility intensify and heighten. 9) Creativity shapes around Beingness: because you've opened up into the fullness of the moment, then space time starts to shape and bend around you. You start to create more from beingness. Each situation that you've been engaged within, in relationships, jobs and general living circumstances, start to transform. The patterns of engagement change. Different objectives and goals start to flash in, ones that are more aligned with the core of who you are. As you step positively into them with authentic self expression, then more Right Action and Right Outcomes happen - things start to click in much more. I'm intrigued to hear - do you recognise any of this? What's your experience of the Flow State? When you move into the Flow State, where you've let go of the need for an outcome, that doesn't mean that you accept anything goes. It doesn't mean that you move into some wishy washy state that lolls around and doesn't create anything. In fact the reverse is true. When you open up to receive the flow of the Universe, down from the dimensions, and through you, then new creative possibilities follow. But crucially, these become more the expression of authentic beingness. You might stay in your job, but approach it a different way and find it more rewarding and successful. You might look at your relationships with more personal responsibility and so transform them. And by accepting that from the infinite potential anything can happen, then you'll be encouraged to take risks on new ventures and possibilities. So you actually start creating more, the crucial thing being, it's more aligned, rewarding and fulfilling. Hello all and tuning in to you all gathering in Seattle! There is a sense of upliftment and a sort of "parting of the clouds". I am sure it will be a meaningful week for you all!! When you speak of being in a state of flow, what comes up for me, is the sense of creating - giving 100% to what it is that's being created but without any need around it...no pressure, yet there is drive and will...relaxed, yet engaged. As an example, for many years there has been a focus to garden the area behind my house...there are many old oak trees and not much access to light there...you could say it's more enclosed, hidden, contained - it is darker and cooler...all of which brings me into a sense of the feminine and with more internal processes - where things are not visible. Interestingly, a couple years ago, energy shifted into a complete overhaul of the house itself and that brings us to now...an impulse that arose to grow in the front areas of the house...where there is full sun, more exposure to elements and people, it's open and very warm. Looking back, I see how it mirrors a transition from the hidden to the embodied to the expression in full view. At first it was being with the blank slate...no idea where to begin...then a gift landed...a boundary I could use to shape and bring things in in a way that felt manageable...as that has shaped and filled, there is now a growing impulse to be flexible with the boundaries...perhaps removing some...perhaps pushing some out a little further and keeping some as they are. Throughout this "education"...there has been a sense of lightness, no stressed sense of effort, yet tremendous commitment...there has been no need to force myself to finish the project or to apply any external sense of discipline because the joy and satisfaction of being in the act of it in the moment is so rewarding and fulfilling. A beautiful reflection popped up on facebook yesterday...that Florida had lifted a ban on edibles in the front garden. 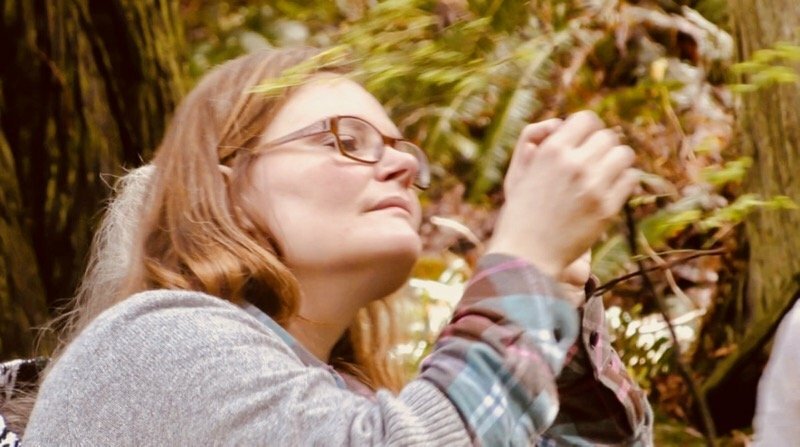 How awesome to feel the feedback loop there...to feel the sense that the outward expression is fully supported....obviously the garden being a metaphor for expression in general. giving 100% to what it is that's being created but without any need around it...no pressure, yet there is drive and will...relaxed, yet engaged. And absolutely fantastic about the change in the Florida law on the Front garden - perhaps a bursting of the dam?! 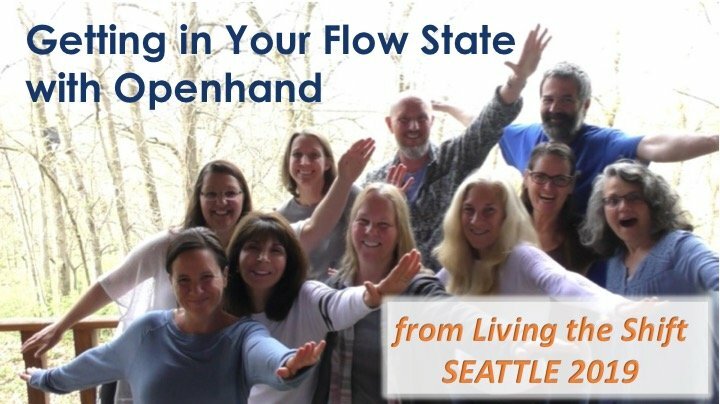 How to get into the "Flow State"
We spent a wonderful day here in Seattle on retreat yesterday - helping people to get into the magical "Flow State". How do you do that? 7) Look for the feeling sense of rightness of the soul, and start to come from that place more in day to day life. Respond to the inner pull (especially if 'inconvenient), and look for authentic expression to come from there. Increasingly people are waking up and connecting with their soul - this is the first step towards truly coming from the soul (who they really are) in day to day life. So the next step is tuning into it and then following it as we've been discussing here thus far, and experiencing on retreat here in Seattle. But what happens after that? How does following the soul pay the bills in the 3D? And why do people lose trust in the Flow State? It's essential to realise what exactly happens when you truly step into the abode of the soul. So progressively you transition to making more soul led choices in life - those choices that come from the landing of higher knowning, or just feel right in the heart, even if that goes against what people are saying and doing around you. To give you an example from the news today, people have been protesting in Australia against the meat industry because of the brutality in which it treats animals. They're being called 'criminals' by the Australian government and arrested. And there's a huge percentage of the population there who pay little regard to this and don't perceive the problem. Yet the soul in some people is still urging them to go against the outer reflections of society. So as you express soul, you will get resistance in the outer - you become a challenge to the accepted and 'normal' way of doing things. What the contradictory external reflections often do though, is hit one's own inner density - fear perhaps of feeling ostracised or weird and way out. Perhaps it hits the places where we don't fully trust in our own unique experience and expression. As the soul journeys within, back to the source, then it pulls on all the places where we identify with the outer drama and go into some kind of contraction about it. This is where fragments of soul are breaking away, identifying, and fogetting connection to the One, to the source. So it feels like you hit a brick wall. The flow comes to a crashing halt, and in the beginning, trust begins to dissipate. This is exactly the moment to persist! But what's necessary is a process for dealing with the blockage, reclaining the fragment of soul that was identifying with the drama, and unleashing the flow once more. It's essential that you confront these choke points as they come up - not to push them back down and surpress, otherwise you just end up recreating the old cycles and patterns of limitation. We need to turn into them, get inside the limiting loop, and break it open. 1) Confront the Truth of the Situation: what's going on here? What is truly being invited? What am I resisting? What outcome do I think I really need? What's the worst possible outcome and how do I really feel about that? 2) Honour and express the tightness: in allowing youself to explore the truth about any given situation, you'll expose some form of tightness within. It could reveal as a busy mind, unsettled emotions, nausea in the solar plexus, tightness somewhere in the body. And even a complete numbness can be classed as 'tightness'. The point is to delve deep, then to honour what comes up. Allow yourself to fully express the tightness, in whatever way your natural guidance invites of you. It's like you blow this inner layer up to fill the world around you for a while. It enables you to see where you were holding on, where you felt you needed some form of outcome, what couldn't you accept? Where have you been in avoidance? 3) Become as-one with your feelings: When you're at the height of the expression, now soften into the feelings, surrender into them, quieten and let go. Become so accepting of the cirucmstances you don't need them to go away. Hold the feelings within - be witnessing and observant. You're becoming as-one with the experiences. When you've reached this level of surrender, then 'open a doorway' of complete acceptance through the tightness. Remind yourself that you are NOT the exprience itself and that all experiences are transient. They come and go. Thus you're becoming The One in the experience - that which you truly are. 4) Unwind soul out of the constriction: once you've become so accepting that you've found The One amidst the tightness, contraction and pain, you're already at the point where you're healing; you're already digging up the roots of the constriction. Let go even more at this point. But then keenly watch the new energies of soul wanting to come through. You're reclaiming nuggets of soul gold that were originally stuck in the drama and creating the tightness itself. Let that now unwind, unleash and freely express new aspects of soul. Now the flow takes off for you, and the newly liberated soul creates in unimaginable ways. Yihah! The Breakthrough Approach is strsightforward to state, but not necessarily easy to apply. It takes practice, application and commitment. But when done so, it's a tremendously alchemical way of processing blockages and unleashing the soul. It's highly transformation for your reality, because unleashed authentic consciousness is the only thing that can truly change the patterns. And you discover that the space-time-continuum then bends around your new configuration of consciousness - yes, it can most definitely now pay the bills! Except that you do it in a different way - you're not grasping 'out there' to control and manipulate. You're working within to unleash authentic beingness and this then naturally manifests around you. The Openhand Breakthrough Book is an epic true life story of the spiritual seeker Chris Bourne, what he faced in his journey of awakening and how the Breakthrough Approach came naturally to him over time. It's a powerful story and sure to speak directly into many of the challenges you face in your life on the path. I wish you all well with your breakthroughs! great to tune in here, and to give more active attention to the here and now. For a couple of weeks now i do exercice how to actively assist people here in Mali to overcome their physical and mental diseases. My soul gave a clear pull towards taking off in this direction, so i followed without asking questions. So there were quite some breakthroughs for me personally recently, like exposing myself to others and surrendering to the fear of causing harm to others. Also working through having betrayed people in another life by selling them worthless goods for a high price. This is very reassuring and uplifting to see how trusting the soul to find the right way gives so much opportunity for growth. It's astonishing how different the african mindset and way of thinking is compared to the western model that most of us use. When talking about the breakthrough approach, Open, you say "the breakthrough approach is straightforward but not necessarily easy to apply" - i tried to apply it and it totally vanished into thin air. That situation was quite amusing actually and felt like my soul giggled at my ego. You saying this now immediatley tore down a barrier lifting me up into a state of creativity, seeing before my eyes how i can develop a very very basic system of conveying certain ideas (like belief patterns or emotions) to reach into peoples inner worlds. Story telling is the key! Many thanks and lovely greetings to all! My most recent Flow state has been painting. I have not consistently painted since I was a young child so starting on a beginners online course was a leap of faith. The woman I training with ,I really resonated with her. She started us off with a meditation to feel everything . And interspersed with the drawing assignments is regular open ended questions of a philosophical nature. I have therefore been experiencing both Flow as I get caught in the.moment and my creative side obliterates experience of time. And then ,rudely ,I start to feel I to old sensations that have not been integrated . It's a very interesting place to be. I notice it takes me a while to get into the place where I have a preferred outcome in mind but where I am able to let go .in this particular case,it means I look at her I instruction and then relax into my interpretation of them .And the painting is flowing out of me ! It is so empowering and humbling at the same time . As if I have tapped into a pocket of self I didn't ever know existed . And each turn of this very tight spiral brings me face to face with the conditioning inside of me that didn't allow this for so many decades . Hi Thomas & Megha - it's so lovely to have you share your experiences of the Flow State here, and breaking through the old identity layers. We had a phenomenal day here yesterday on retreat in Seattle. When you contemplate the restrictions of the old layers of identity, the way you're used to doing things, the typical ways you relate to yourself, the stories you're constantly telling the world about yourself, then in meditation you can actually start to feel this as an energy inside. Then all you really have to do is decide it's time to let it go, to break the container wide open. Because everything is simply energy, that crystallises around what you believe it to be. At this point yesterday (and you can join this meditation by taking time out and doing it yourself): I got people to imagine themselves as the beginnings of a small flower, a seed, that was encased in concrete, just as many are encased in the 'concrete' of society. I got them to crouch down low and feel the weight of it all bearing down. But not to react to it. Simply to honour it as an experience, an energy that they could feel. Then I reminded them that the most gentle of flowers can break open the strongest concrete. All it need do is probe and find a crack, then to expand into it. So we felt into this pain body, we probed into it with new shoots of beingness, and then..... started to crack the concrete open. Then I got them to feel the concrete beginning to break down and turn to soil. 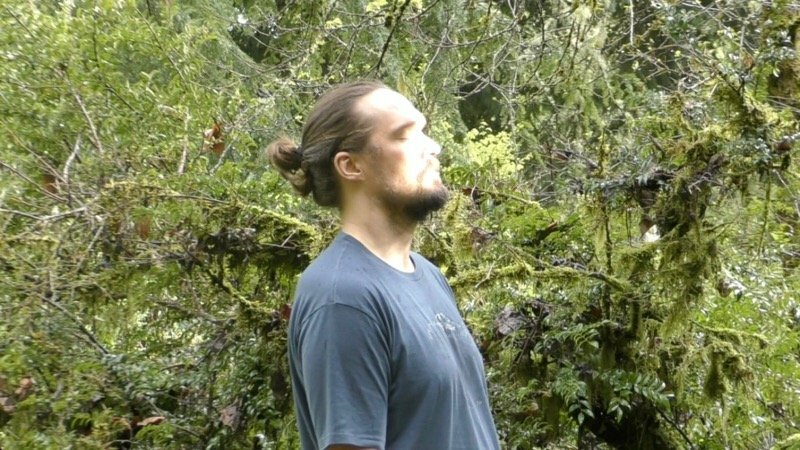 The meditation was clearly tuned in with Gaia, because right at that point, it began to rain, which you could clearly hear and feel through the roof of the studio. We experienced being immersed in dissolving rain. Afterwards we went out into the rain, looked up to the heavens, and let it dance on our faces, cleansing away that which no longer served. It was magical! I have to tell you this. I was meditating today . 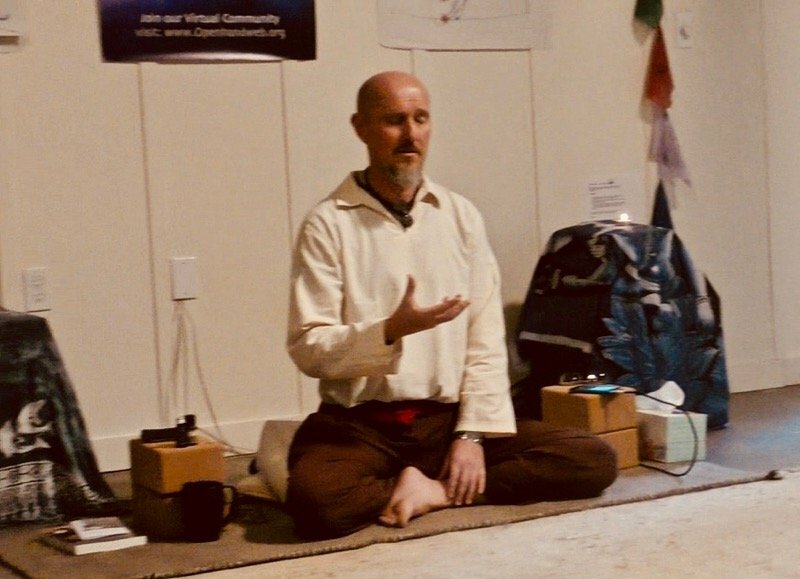 Instead of doing the Chakra attunement as I do usually ,I was drawn to just be with sensations in my heart while listening to Tom Kenyons Heart Chakra meditative music . ( ALSO I was late to work and this was shorter 😄😄) . Part of the reason I have started a painting course is to be able to translate what I see in my meditations on paper. Today I saw in technicolour detail green tendrils from my heart penetrate into grey asphalt thick layers around me and start to grow within the rock . I saw how each of us has these layers of rock that were being penetrated by the heart . Just gave me goose bumps when I read the meditation you described ! Yesterday here in Seattle we were putting all aspects of the Openway spiritual compass together. By the application of higher dimensional meditation, and also tuning in deeply with mother nature, we harnessed the flow and allowed it to channel through. It's then all about the expression of this new emergent beingness and giving energy to it out into the world. Consciousness creates. Nothing creates like consciousness! And so what you express, begins to bend the space time continuum around you, from which pathways unfold, in your career, relationships and general living circumstances. To approach life in this way is highly alchemical, where even the subtlest and most gentle of expressions shape reality. We just need to apply the trust to let it come through. The senses we touched yesterday we're profoundly beuatiful and magical - incredibly angellic. And because of this, it felt like our entire surroundings were speaking to us, including those in the ether around us supporting our individual journeys and the wider shift. It was deeply heart warming to experience. 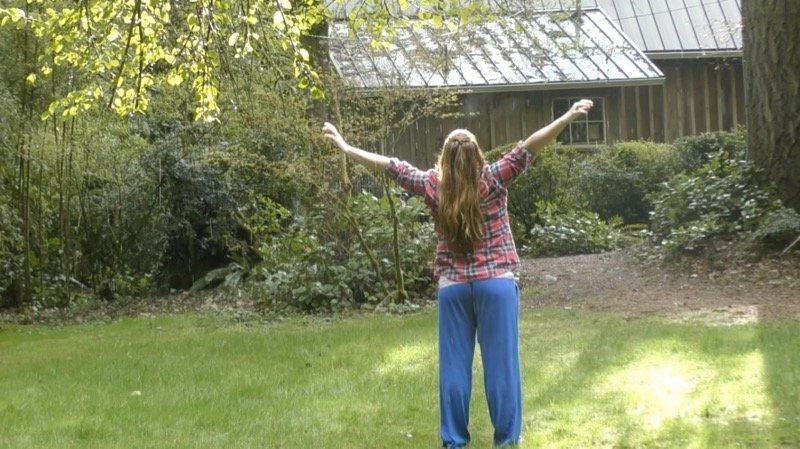 To encourage your own inquiry into your authentic beingness and how it emerges into the world, I felt to share this video from our last gathering here in Seattle a couple of years ago. What do you notice? What resonates with you? Does it make sense? Openhand Seattle Group see you down the flow! It was a fabulous last day here in Seattle - what a tremendous group of souls, from rich and diverse backgrounds, yet how incredibly well we harmonised. We surrendered to the process, dug deep through the layers, and came up beaming with big hearts and broad smiles. At the end, no one wanted to leave!